On February 10, we announced release of Content and Experience Cloud to drive omni-chammel content management, delivery and digital experiences for your organization. It replaces Documents Cloud and Sites Cloud Services that you are already familiar with and allows us to enhance our portfolio by adding new services to Content Cloud. Stay tuned! Sites that you can create from these templates are designed to allow you easily modify their content to meet your requirements. In addition, you can leverage code snippets for rendering multi-level navigation or custom components from these templates to build your own themes and sites. To simplify styling of components on a site page, we enabled copy & paste of style and format on components of the same type, including nested components. 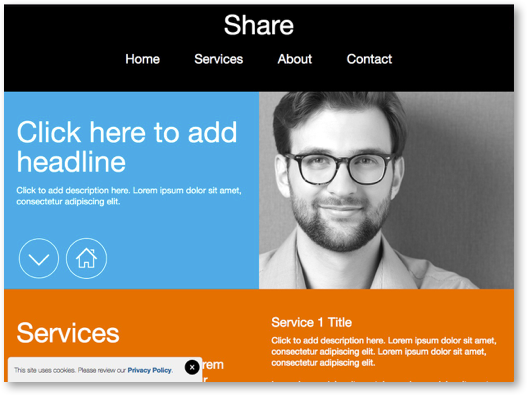 If your website in Sites is built using a Bootstrap theme, it is likely that the theme in your site is large in size and contains a large number of sites (it is common for a Bootstrap theme to be over 100MB un size and contain several thousand files). To make it easier for you to work with such large themes in Sites, we added incremental theme publishing. Now only files that have been changes since last publishing will be re-published – for a large Bootstrap-base theme this drastically reduces time to publish a site that uses such theme. We also made an effort to make Oracle Content desktop client to sync files to / from your desktop much faster. Apart from changes in the sync mechanism that made this possible, we stopped syncing content of the ‘published’ in a site. If you are syncing sites, you will see that the site folder on you desktop lost half of its size. You will also find useful other miscellaneous changes that we made in February release of Sites. Enjoy!